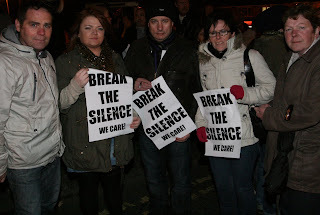 Last week there were four deaths by young men from suicide in west Belfast. I visited all of the wake houses and attended one of the funerals on Saturday. My heart was broken by the huge sense of loss and devastation I found in all of the families and among the many young people who were around the wakes or who attended the funeral. 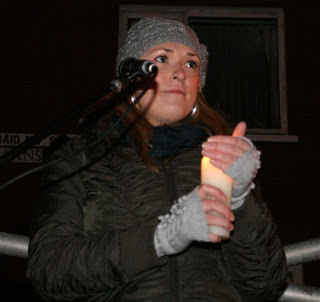 Following the death of the fourth young man a group of young people took an initiative and organised a vigil at the top of the Whiterock Road last Thursday evening. It was held close to the home of one of those who died. 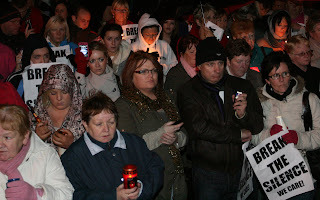 It was cold and dark but hundreds attended. Most were teenagers and young men and women coming together in solidarity with each other. There were older people also. All of us were sad. Some held candles. Groups working on suicide awareness and prevention schemes passed through the crowd handing out information leaflets and little business cards with contact numbers for help. There were songs of love and hope. Speakers appealed for anyone feeling depressed or suicidal to reach out and contact one of the groups that provide support and counseling. They also appealed for anyone who knew of someone feeling that way to urge them to seek support. 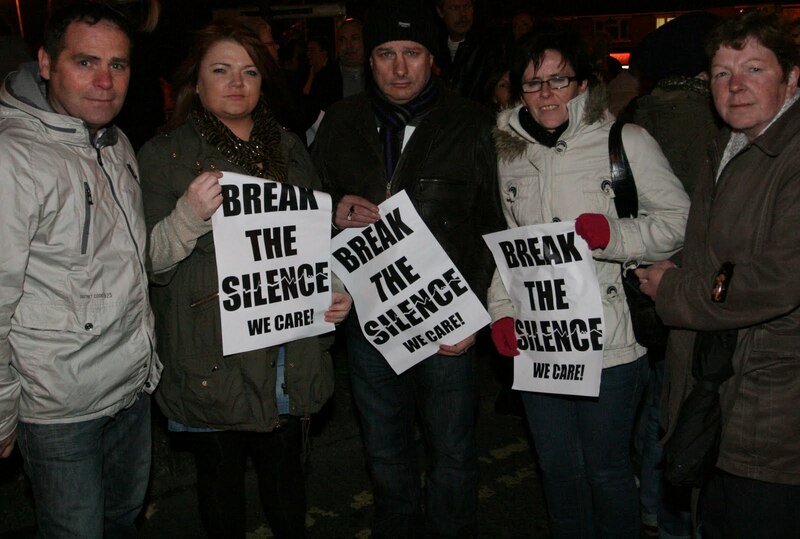 The four deaths in west Belfast bring to 21 the number of people who have died by suicide since January. The statistics do not tell the whole story. There may be others we don’t know of. In recent years West and North Belfast have each recorded the highest numbers of deaths annually from suicide in the north. 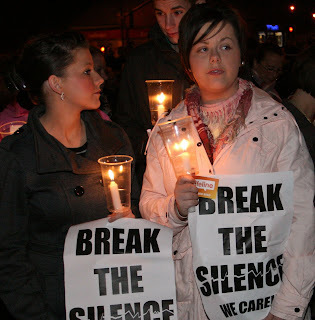 In 2008 official figures reveal that 424 people took their own lives in the south of Ireland while 282 suicides occurred in the north. This means that 706 lives were lost in Ireland in 2008 – more than were killed in road accidents. Neither do these figures reveal the real extent of this problem. Thousands of people are admitted to hospital every year as a result of self harming. One report in the south of Ireland at the end of last year disclosed that 11,700 cases of deliberate self-harm had been treated in Accident and Emergency departments in 2009. Suicide is the biggest killer of young people in Ireland. The human cost on families and communities is devastating. Nor is suicide any respecter of class or creed or gender or age. Internationally the statistics are just as stark. The World Health Organisation estimates that approximately one million people die each year from suicide. This represents 16 people per 100,000 or one death every 40 seconds. In the last 50 years suicide rates have increased world wide by 60% and the prediction is that the current levels may double in the next 10 years. This is a crisis that has to be confronted. Too often it is left to bereaved families to cope with their own loss and to organise awareness and prevention groups to help others. Those that are active in West and North Belfast do commendable work and each year save countless lives by their efforts. They deserve our respect and praise. But raising awareness and putting in place suicide prevention measures requires resources and mechanisms that must be mainstreamed. Governments cannot step back from this crisis. It doesn’t matter the place or the country. Suicide prevention strategies, properly funded, and bringing together all of the statutory agencies, including health and education, are essential. Crisis intervention projects have to be available for immediate delivery into areas that are experiencing a serious increase in suicides. Voluntary and community groups cannot provide this. Governments must. 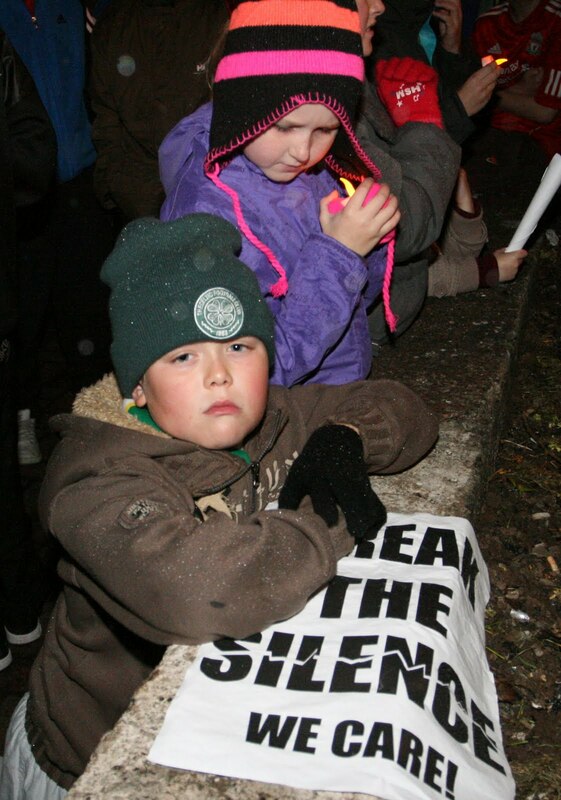 The people of the Colin area deserve a crisis intervention response to the surge of suicides in their community. There is a huge amount of good work being done on the ground by youth workers, young citizens, teachers, church groups and others. But they should not have to carry this burden. The Executive has to provide a properly resourced, round the clock, 7 days a week, programme of support. It has to be cross departmental, strategic and integrated. A visit by the Deputy First Minister on Wednesday will send a clear signal to the citizens of west Belfast that the Executive understands the seriousness of the suicide crisis. A few years ago , or long than a few years ago, I read about the problem of high Suicide rates in Ireland. I did some general research looking into factors contacted some offical places both North and South concerning the issues. I even wrote a screenplay centering on the problem, this year. Numbers and Factor have a role for the Comfortably Numb. Feeling suicidal is something many of us have gone through. Depression, Suicide, and Self-Injury becames more than a culture of expression. It has been said that Suicide is a permanent solution to a temporary problem. As with many things in social life ,People don't want to talk about it, they don't want to know about it. People are frightened of it, and they don't understand it. Of course the issues are medically treatable. But , perhap Suicide is the sincerest form of criticism life gets. It is a criticism of life, for There is nothing vague or ambiguous about Suicide. In the spirit of our race we will find, and as other helps fail,the high-seriousness concerned with the sad reality. Had to add something on the great issue for the Irish Island. I was viewing The Women's Conference, now taking place in Long Beach , CA. The purpose of the Conference is to empower, inspire and educate . This is what is need in Ireland today. We need to discuss the issues, motivation, empowerment, the Irish people , the Irish family. When you are young and contemplate taking your life you may not really understand how final it really is. You're feeling bad and it appears that no one understands, is really getting you. It's not always that you have some sort of mental illness. It may be that you feel the hope is gone. That may be the key. In the global economy things appear rather bleak and mean spirited. Try to reverse that somehow. I think it is about hope, whatever one's age. It is good and necceassry for groups and the executive to take action and be aware. Each of us as individuals, too, may do more good than we know by the occasional kind word and listening ear.